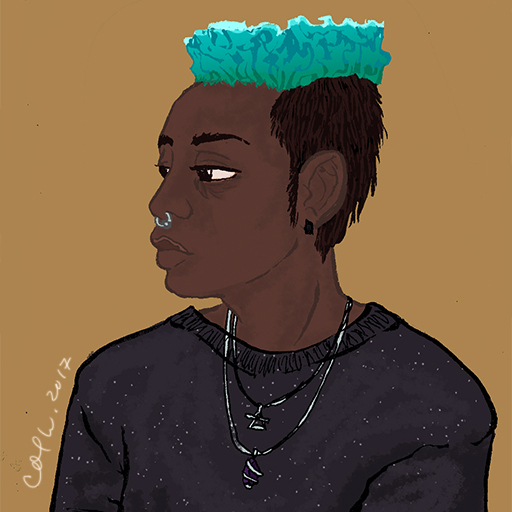 Col is a Black and Indigenous, non-binary, intersectionalist and art activist who uses they/them pronouns. They love to use their illustrations to promote social justice and awareness as well as to center Blackness. They create work from personal experiences and explore the intersections of sexuality, gender and trauma. A mix of sequential narratives and one-off illustrations, their work blends traditional and digital techniques. They currently live and work in the Greater Boston area.